This year, the Large Hadron Collider celebrated its second year of service, and the Hubble Space Telescope its 21st year. The former is a 27-kilometer long circular underground particle accelerator near Geneva that creates and measures some of the smallest and most elusive particles in (sometimes still-theoretical) existence. The latter is a telescope in Low Earth orbit with a 2.4 meter diameter that observes some of the oldest, largest, and farthest objects in the universe. Together, these two modern machines could be considered the most important in their respective fields of particle physics and astronomy, as well as pinnacles of excellence in the constant growth of human knowledge, technology, and capability. It is hard to imagine that less than 200 years ago, there was no atomic theory, and no knowledge of anything outside of our own solar system. Over 2000 years ago, generations of the best thinkers of the ancient Babylonians, Egyptians, and Greeks knew next to nothing of the true nature of the world, despite their best efforts. Well, there was one man who had a pretty good idea about how things worked–perhaps the one man from the ancient world who might be totally unsurprised by the findings of the HST and the LHC, were he alive today. That man is Democritus. Democritus (460-370) came from Abdera, in Thrace, and is considered the last of the ‘Pre-Socratic’ philosophers, though he was both younger and longer-lived than Socrates himself. His 90 years of age (some sources, such as the rarely-trustworthy Lucian, attest well over 100 years!) give us some counter-intuitive proof that not every human in prehistoric or ancient times died young, but that maximum lifespan has probably always been basically constant, depending mostly on one’s environment. 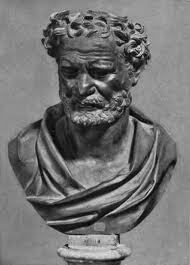 Democritus was a student of Leucippus, and his ideas come down to us mostly from Epicurus (who was himself mostly transmitted through works like Lucretius’ On the Nature of Things) and from selected quotes in writers such as Aristotle. Democritus (ignored as a northern barbarian in Athens) was detested by that preeminent Athenian, Plato (who may have wanted his books burned–not a far-fetched idea from the author of a crypto-fascist ‘ideal state’ in Republic); Aristotle (another, possibly sympathetic, outsider) respected the methodology of Democritus (which was an early example of empiricism) while disagreeing vehemently with most of his ideas. Therefore, due to the influence of the ‘big two’ philosophers, Democritus was generally ignored or forgotten for over two millenia–the so-called ‘exile of atomism’–until 17th century thinkers like Pierre Gassendi and René Descartes resurrected him. In modern times, he has been praised by people like Kant (“I will therefore not deny that the theory of Lucretius, or his predecessors, Epicurus, Leucippus, and Democritus, has much resemblance with mine.”), Neitzsche (“Of all the more ancient systems, the Democritean is of the greatest consequence. … Now for the first time do we have a rigorous, scientifically useful hypothesis.”), and all the proponents of modern atomic theory like Dalton, Thomson, and Schrödinger (“For reasons that will appear soon scientists are very much inclined to regard the Ionians (Thales, Anaximander, etc. 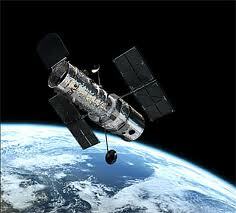 ), and, above all, the great atomist, Democritus as their spiritual ancestors.”). So what warrants such praise for an otherwise obscure ancient philosopher? His famous quote begins to tell the story: “Nothing exists except atoms and space, everything else is opinion.” Both concepts, that of the atom, as well as that of the ‘void’, were revolutionary at the time, and counter to anything that would come before or after for a couple thousand years. Democritus (along with, at first, his teacher Leucippus) said that everything was composed of atoms (Greek: a-tomos, “indivisible or uncuttable”, though he probably intended this to mean that they were only physically, but not geometrically, divisible). These particles, extremely small, infinite, and eternal, exist in empty space and collide with each other to form all matter that we can perceive. With this elegant theory, Democritus completely rendered worthless the earlier attempts of natural philosophy to find the original or most basic element of matter. These had been water (Thales), air (Anaxemenes), fire (Heraclitus), and earth (Empedocles), all of which Democritus rightly categorized as material composed of atoms, like everything else. In addition, his atomic theory, and especially his use of the concept of the ‘void’, solved the question of matter that had remained unanswered both by Heraclitus, who had described nature as in a constant state of motion (as seen through his famous axiom that no man could step into the same river twice), and Parmenides, who adhered to the monistic theory that all motion was illusory, since the space left by a moving object would create a void, which he said was not permissible (as in his dictum, later adopted by Aristotle, that “natures abhors a vacuum”). Democritus simply ignored Parmenides in order to establish his own deductive atomistic theory based on painstaking observation and empiricism (contra Russell). Democritus’ contributions certainly do not end with his atomism. He developed a theory of knowledge which also does not seem too foreign to our prevailing ideas today. He said that it is difficult to ascertain the truth of something because our perception itself is subjective–no more than sense data processed by our intellect which is still only atoms and void. He laid a foundation for beginning to understand truth by way of inductive reasoning–that is, examining the appearances of something, drawing conclusions about laws that govern those appearances, and finding the causality by which they are related. Democritus is quoted as saying ‘he prefers to discover a causality than to become a king of Persia’ (at that time, still the largest empire ever). He held a similar idea about the soul as the mind–that it, too, is composed only of atoms and space, which shows his consistent materialism (and earned him much criticism and controversy that prevented his ideas from becoming popular). Democritus was a formidable geometer and mathematician, as well, writing at least five books on the subjects (he wrote at least 70 total books according to Diogenes Laertius). In biology, he formed an inchoate theory of genetics in which each parent contributes a slightly unequal amount of seed for each characteristic that determines the offspring’s traits. He also speculated that the existence of any particular species was not eternal (for comparison, it was still inconceivable in academic circles 200 years ago that extinction of species could even occur). In anthropology, he went against the mythical and Hesiodic beliefs of a past ‘Golden Age’ of man, from which we have degenerated into our current imperfect selves. Instead, he thought that early humans had lived an anarchic and animalistic life (akin to Hobbes’ ‘state of nature’), gathering wild fruit and herbs. They formed small societies as protection against predators, but had no language at first, and only gradually articulated expressions and symbols. He portrayed this time of development as trial and error, with discoveries and progress coming slowly as human reason built on ideas through experience. This is very much like modern theories of evolution, paleontology, and anthropology. 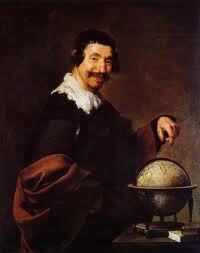 In cosmology, Democritus knew that the Earth was round, and had been formed by the collision of other atoms. He believed that the stars were very distant, that the sun was very large, that there were probably other worlds (some with no sun or moon), and that every world had a beginning and an end. He spent much of his long life also devoted to what we would call biology and geology, studying and observing plants, animals, and minerals. As we have seen, there was no area in the natural sciences that Democritus did not impact and leave his (remarkably accurate) mark. So how did such a rational, materialistic philosopher live his life? We know that he traveled extensively, at least as far as Egypt, Babylon, and possibly India and Ethiopia (though that was a standard trope for wise men going back to Dionysus, Heracles, Pythagoras, and later used by Philostratus in his Life of Apollonius of Tyana [which I discussed in my Master’s thesis here]). There are many interesting, entertaining, and probably apocryphal, anecdotes about him that portray him as totally devoted to his pursuit of knowledge, but also thoroughly in love with life. His ethical views can be basically summarized as adherence to enlightened hedonism and search for the ‘good’, which he characterized as ‘cheerfulness’. Everything in moderation leads to a contented life. He was always ready to see the comical (possibly ironic) side of life, and frequently laughed at, or mocked, the foolishness of people (as one can imagine such a genius living among mostly cretins). 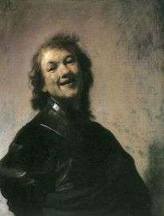 Democritus’ atomic theory is one of the most important, and amazing, intellectual accomplishments of the ancient world. The man himself was extraordinary in every way, and there are many reasons why he should not be forgotten. Even beyond setting the stage for modern science and correctly formulating any number of modern theories, how can we fail to admire someone who spent 90 years traveling, learning about the world, and laughing and enjoying himself? Heraclitus is interesting and there is surely wisdom in some of his few surviving aphorisms. I find some appeal in his ideas of change and the process of Becoming and the river. But let’s not be too vehement in supposing this mystical metaphysics somehow supersedes the scientific and atomic worldview of Democritus just because there are still unanswered questions in quantum physics. In any case, perhaps I do find it more comforting to write a hagiography about the laughing philosopher rather than the weeping one. You seem to think that the atomic worldview can still be saved, that there is even a possibility of such a thing when quantum mechanics shows, mathematically, that what we will not be able to explain it. Almost all of modern physics has mostly accepted it, and is simply waiting for the experiment dealing with Bohr-Einstein condensate to confirm it. Basically, what I am saying is that you are over-exaggerating Democritus’ reach here, and also showing that you are not understanding the fundamental subject-object dynamic of the world it creates (for the world does not exist for us to know it). I think it was beyond Democritus to grasp something as essential as the universe as flux. Philosophy (and science) has moved past that since the 19th century-early 20th century as far as I am concerned. Also from the prior discussion on the Nietzsche post, you give way too much credit to the emotions of philosophers projected by weaklings. Heraclitus cannot be, at any point, be considered “weeping.” We are dealing with philosophers, not actors. I am not qualified to comment further on anything involving modern physics, except that I doubt that most physicists have accepted that quantum mechanics will never be explainable. As for my pre-Socratic natural philosopher of choice, I will stick with Democritus, the one who was clearly the most prescient scientist of the ancient Greek world, and the one who is most interesting to me. You prefer Heraclitus, which I can understand as well, though maybe you, too, are exaggerating his reach by thinking that a mystical statement such as “everything is in flux” somehow explains everything about the universe for all time (specific details not included). Luckily there have been many more followers of Democritus since the end of the Middle Ages that pulled us out of such a cycle of metaphysical nonsense and into the world of modern science, facts, and knowledge. Also from the prior discussion on the Nietzsche post, I would expect you, as a supporter of that philosopher, to characterize great men like Bertrand Russell (I assume it is him to whom you refer since he was the only one I named) as “weaklings”, since he did not lust for power like the followers of Nietzsche, but merely worked to create a better and more peaceful world. It is strange that you take issue with my calling Heraclitus the “weeping philosopher,” since I am only following the tradition that has persisted since at least the followers of Aristotle through the Hellenistic school through Roman satirists like Juvenal and Greek ones like Lucian of Samosata, and through Montaigne, Shakespeare, and much Renaissance art. We are dealing with historical traditions, not personal opinions on his character. You know what, I take what I said back. I am not qualified at all either and am quite embarrassed I posted about quantum mechanics. I consider it to be TRUE, I don’t consider it to be the most useful formulation in understanding the world. I also think Democritus is missing the crucial element of interaction between the two elements, and this is where Nietzsche, Brokovic, and Heraclitus stands ahead of him. However, I don’t disagree that this was a great insight into our world. Nice article. The picture you have labeled “Large Hadron Collider” is not that, but is a picture of the ATLAS detector under construction (most of the detector is missing in the photo). If you want a picture of the collider, that is, the accelerator, try here: http://lhc-machine-outreach.web.cern.ch/lhc-machine-outreach/lhc_in_pictures.htm . Tony, thanks for making that distinction, which I was blissfully unaware of. 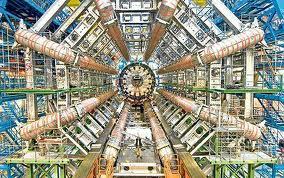 When I looked it up for more information, it appears that the ATLAS detector is part of a specific experiment under the auspices of the entire Large Hadron Collider project.